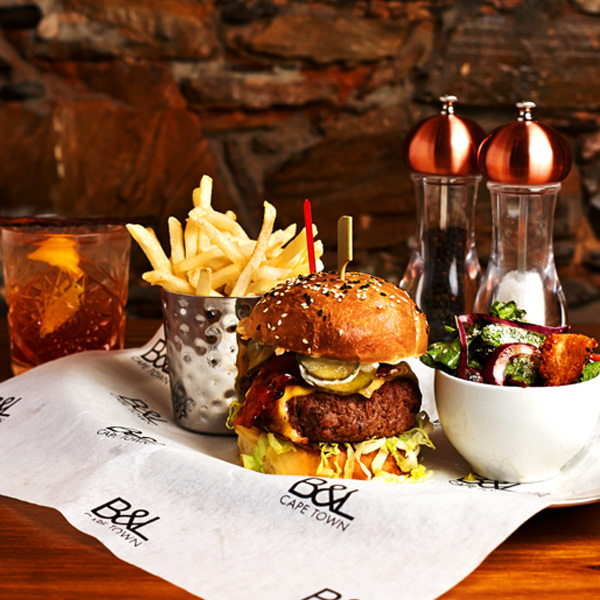 Modern in look and contemporary in feel – B&L is located in the heart of Bree Street, Cape Town’s foodie central. KEEP IT SIMPLE & DO IT WELL! We believe in keeping it simple and doing it well. 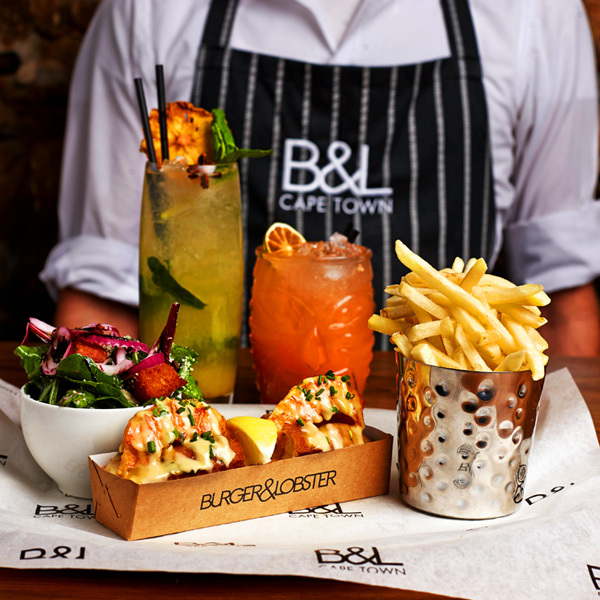 The menu is crafted around three core items: The B&L Burger, The Lobster Roll and the Whole Lobster. With a love for local seasonal produce we make most of our menu items from scratch on site without fail or compromise. 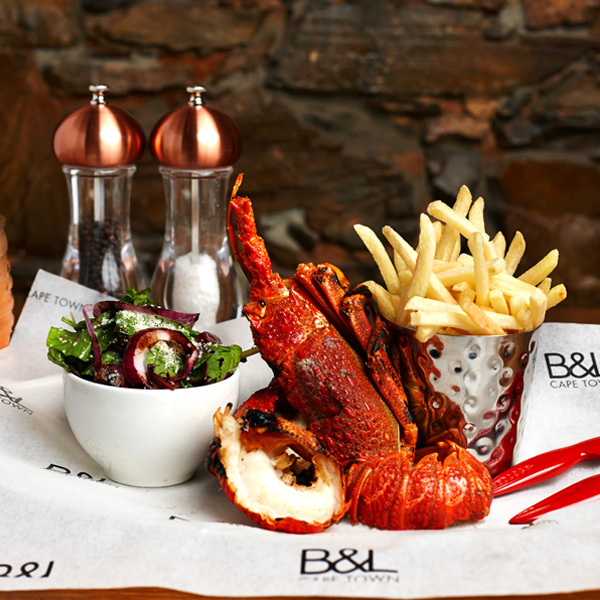 It is complimented by a selection of hand-picked premium imports sourced exclusively by our in-house team for B&L. Our lobster meat is also proudly sustainably sourced. We think, that good food should always be accompanied by fine wine or audacious cocktails. 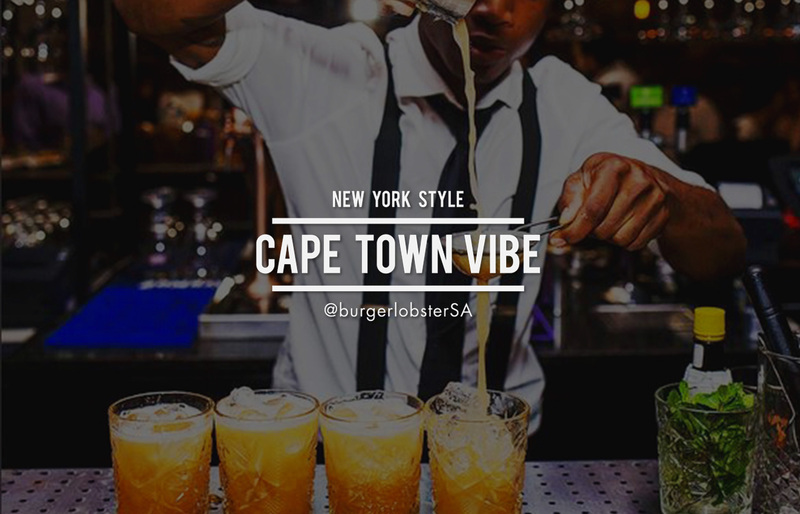 That is why our selection of signature-style cocktails has been especially crafted to suit our hero dishes down to the t. Suggestions on what suits what best is highlighted on our menu – making your choice a bit easier in case you get overwhelmed. Pure, simple and packed with flavour. Whatever you choose, we are confident we won’t disappoint. To see our full promotion and events calendar please click here. 2018 New Year’s Eve – your urban party destination! In Cape Town over New Year’s Eve? What better way to ring in the New Year with an epic inner-city party at B&L. Complete with a live DJ on the decks. Get ready to party right through the night with us. See our NYE Menu here. Introducing our first Vegetarian and Vegan Burger options. Simply ask your waiter to give you the low-down when you visit. Gin o’ Clock has become an institution at B&L. Why not become part of our gin movement and sample some of the finest craft gins right here. Let’s call a spade a spade. Any day other than Friday is just as good an excuse for after-work drinks. PS: Best enjoyed with a group of friends. Let the good times (lobster) roll! Your Birthday? We know how to throw a bash complete with our signature-style cocktails and simply delicious food. Want to hold your Birthday party or a Work function at B&L? No problem! Give us a call on 021 422 4297.